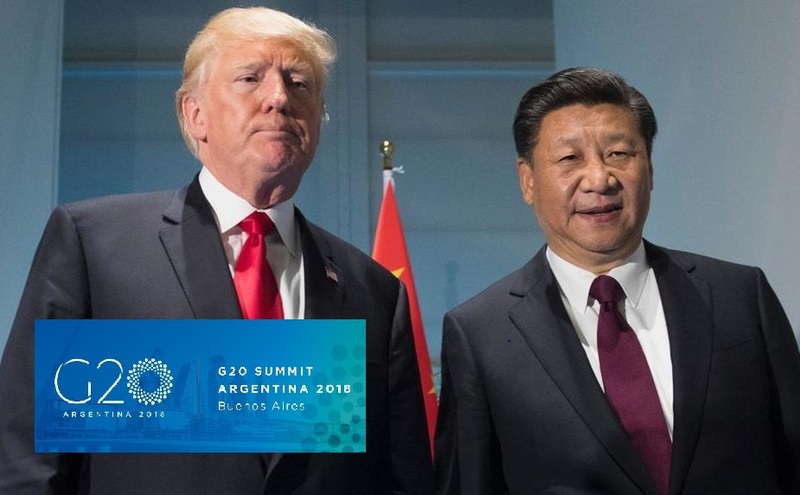 US President Donald Trump and his Chinese counterpart President Xi Jinping have agreed during their working dinner in Buenos Aires not to introduce any new import duties for the time being. They resume trade negotiations with the aim of reaching an agreement within ninety days, thus resulting in a temporary ‘ceasefire’ in the ongoing trade war between the world’s two largest economies. A spokesperson for the White House confirmed to Chinese media that the US is temporarily refraining from a tariff increase planned for 1 January 2019. The Trump administration had planned to increase the import levies on a total of 200 billion dollars in Chinese goods from 10 percent to 25 percent. According to the spokesman, China agreed in exchange to buy a "very substantial" amount of American products, including agricultural and industrial products and energy. If both countries fail to reach an agreement on intellectual property, agriculture, cyber theft and trade barriers within 90 days, the intended US tariff increase will go into effect. The meeting between Xi and Trump lasted nearly 2.5 hours, which was much longer than planned. Trump's economic adviser, Mr Larry Kudlow, said the meeting was "very good". According to reports in the South China Morning Post, the delegates treated the two presidents afterwards to a standing ovation. Big news from Buenos Aires summit: Trump agrees to temporarily suspend trade war with China, holding off on raising tariffs on $200 billion in Chinese imports for 90 days, while Xi agrees to buy US farm product and designate fentanyl a controlled substance, per White House. "What I'd be doing is holding back on tariffs. China will be opening up. China will be getting rid of tariffs."